Short post to verify and check that all went correctly in upgrading PHP from version 5.5 to PHP version 5.6. All looks fine and all seem to be working, please comment if you see anything weird. On 4 October, Google announced their new Google branded cellphone called Google Pixel and Google Pixel-XL. The hardware for these phones are made by HTC. HTC has always made good phones and I like the build quality of their phones but they are not that good at marketing so the relationship with Google will be a good one. The question now arises whether we will be seeing this phone in South Africa. The only way to get it in South Africa is either via one of the mobile operators since buying it from the Google Play Store in South Africa is not an option. I have looked around on some of the online stores in South Africa but have not come across anywhere where it can be pre-ordered. As an Android user and somebody that will not switch to iPhone, I would like to get either the Pixel or preferable the Pixel-XL since I live on my phone and like the bigger one. Also I am a avid hiker, see my Hiking site, both the Pixel and Pixel-XL has great cameras and would come in very handy when hiking. The 3 colors that will be available for the Google Pixel and Pixel-XL phones. I am leaning toward the blue one, lets have a bit of color in our lives. Would love to hear what you think so leave a comment below. Up until today, Google Duo was not available in South Africa from the Google Play store. The only way to install it was to side load the APK which you had to download from somewhere. What you could do was to pre-register on the Google Play store to be informed when it will be available for installation. This morning (19 August 2016) I woke up with a notification that Google Duo is available in South Africa and can be installed. Head over to the Google Play store and install now. For those that do not know what Google Duo is, it is a Video calling app that is basically the same as Apple Facetime on the iPhone except that Google Duo is cross platform so you can chat with your buddies that have both Android and iPhones. So let me know in the comments below what you think about it. You are a freelancer or a business that needs to receive payments from anywhere in the world no matter where you are. As business is more global than ever, clients and partners can be based anywhere. This creates numerous challenges dealing with transactions abroad. Whether you’re a freelance web designer, web developer, blogger, or making big bucks in e-commerce, you need a better way to send and receive funds. You also need to be able to easily transfer that payments to your own bank account in your local country and your local currency. Look no further than Payoneer to receive and manage international payments. Need a better payment solution? Do you have reservations about paying people abroad? Of course you do—unless you’re OK with it. And if you are, please hurry up and wire $10,000 to my Payoneer bank account (yes you will receive your own bank account) because I been trying to track you down so you can claim your $10,000,000 inheritance. Thanks! When it comes to freelancing on the web, you really need to consider serious matters like compliance with local laws, taxation, payment verification, and security of your account. And that’s just for a single payment. Complex stuff if you need to do each step one at a time. Not only that, but certain companies often charge high fees to transfer funds and take a cut from exchanging currency. Then, these companies can make you wait and wait to confirm you’ve paid the recipient or got paid yourself. With Payoneer you can easily receive and manage international payments. How do I start to receive and manage international payments? This tip is a payment solution geared towards freelancing professionals called Payoneer. Millions of freelancers are using this to manage payments easier than ever before. There’s no need to worry about high fees, missing payments, or long delays. Payments can be sent to recipients, who can have the money loaded into their local bank account, debit card, or e-wallet. You can also get paid this way too. Simple and easy enough. It’s used in over 200 countries, and provides easy currency transactions. And the best part: receiving or sending payments to another Payoneer user is free! The nice folks at Payoneer have provided a special signup for $25 in free credit for my readers. When you have signed up the also apply for you free Payoneer issued Mastercard Debit card which you can use at any establishment around the world that accepts Mastercard Debit cards and even draw cash from most ATM’s. I love helping you grow your online dreams and are happy to support you with tools for a flexible and profitable online business. This is how I solved the problem with Ubuntu 16.04 LTS minidlna after upgrading from Ubuntu 14.04 LTS to Ubuntu 16.04 LTS. MiniDLNA is a lightweight DLNA/UPnP media server. The MiniDNLA daemon serves media files (music, pictures, and video) to clients on a network. Media files on both the first disk but also spread across various other disks. The main issue I had was that although the config file at /etc/minidlna.conf was read, it did not process the media files that was on disk other than the first disk. By default the daemon run under the USER minidlna and for some reason this user did not have permission to read the media files on the other disks. I changed the USER variable in the .conf file but it did not take either, not sure why. So I diged a bit deeper and found that the USER is also specified in the /etc/init.d/minidlna executable file. So all I did was changed the USER and GROUP variable to root in the /etc/init.d/minidlna file as indicated below. I restarted the daemon by executing sudo /etc/init.d/minidlna force-reload and voila everything was fine and all my media files available to watch from any device on my network. All in One Domain name registration and WordPress hosting. Register your domain name on one of my Name Servers, no need for you to go find one. You just pick a domain name and on of the extensions from the list below. I will setup your hosting on one of my servers with a major hosting provider. You have unlimited bandwidth available for your website. I will install basic WordPress site for you and supply you with the login details so you can manage you own WordPress site. I will setup as many email addresses as you want as part of the setup. These can either be POP3/IMAP email addresses or email addresses that autoforwards to any email address you want. As and when you need more email addresses or delete existing ones, I will do that for you during the course of the year at no additional cost. 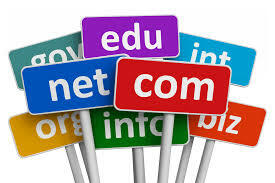 I will ensure that your domain name and hosting is renewed in time every year. You just pay the renewal fees as listed below. I will invoice you with the required amount to pay well in advance. You need to tell me the all in one domain name you want. You can send me your requested domain name by competing this contact form. Electronic Funds Transfer into my bank account, banking details will be on the invoice. VISA or Mastercard Credit card payment via Payoneer, instruction will be on the invoice. Payment via Snapscan in South Africa, QR code will be on the invoice. When payment has been received and confirmed then I will setup WordPress hosting and any email addresses you might need within 24 hours. Go ahead, what do you have to loose, contact me and get your new all in one domain name and hosting today. It is a book called Twelve Against the Gods by William Bolitho which was first published in 1929. Twelve Against the Gods: The Story of Adventure is an obscure, out-of-print treatise by William Bolitho, published in 1929. Bolitho, a South African journalist and friend of Ernest Hemingway, wrote about 12 famous “adventurers”—from Alexander the Great to U.S. President Woodrow Wilson—who fought against the conventions of their times, for better or for worse. If you interested in reading more about the man himself, then head over and get his autobiography. As an South African, I follow what Elon Musk is up to and I have just read the Autobiography of Elon Musk that was written by Ashlee Vance and I can highly recommend the book to anybody, whether you a South African, whether you in business or just the ordinary man on the street. Link below to buy the book on Amazon. If Silicon Valley was holding out for a hero after Steve Jobs’s death, a disrupter in chief, it has found a brawny one in Mr. Musk. This South African-born entrepreneur, inventor and engineer is the animating force behind companies (Tesla, SpaceX, SolarCity) that have made startling advances in non-indoor-cat arenas: electric cars, space exploration and solar energy. He is all of 43. Mr. Musk is about as close as we have, circa 2015, to early industrial titans like Henry Ford, Andrew Carnegie and John D. Rockefeller. Along with his swagger, he totes surprise, style and wit. In this lively, investigative account, veteran technology journalist Ashlee Vance offers an unprecedented look into the remarkable life and times of Silicon Valley’s most audacious businessman. Written with exclusive access to Musk, his family, and his friends, the book traces his journey from his difficult upbringing in South Africa to his ascent to the pinnacle of the global business world. Vance spent more than fifty hours in conversation with Musk and inter- viewed close to three hundred people to tell the tumultuous stories of Musk’s world-changing companies and to paint a portrait of a complex man who has renewed American industry and sparked new levels of innovation–all while making plenty of enemies along the way. In 1992, Elon Musk arrived in the United States as a ferociously driven immigrant bent on realizing his wildest dreams. Since then, Musk’s roller-coaster life has brought him grave disappointments alongside massive successes. After being forced out of PayPal, fending off a life-threatening case of malaria, and dealing with the death of his infant son, Musk abandoned Silicon Valley for Los Angeles. He spent the next few years baffling his friends by blowing his entire fortune on rocket ships and electric cars. Cut to 2012, however, and Musk had mounted one of the greatest resurrections in business history: Tesla, SpaceX, and SolarCity had enjoyed unparalleled success, and Musk’s net worth soared to more than $5 billion. At a time when many American companies are more interested in chasing easy money than in taking bold risks on radical new technology, Musk stands out as the only businessman with enough dynamism and vision to tackle–and even revolutionize–three industries at once. Vance makes the case that Musk’s success heralds a return to the original ambition and invention that made America an economic and intellectual powerhouse. Elon Musk is a brilliant, penetrating examination of what Musk’s career means for a technology industry undergoing dramatic change and offers a taste of what could be an incredible century ahead. Ever wondered how to type accented characters, that characters with something on top on a MacOS or OSX system. Solution is very easy. So for Pokémon, hold down the “e” and then either click on the second character in the list or just press 2 and voila, you have “é”.